Everything you need know on how to get the most out of Galaxy Note 7! What are Samsung Galaxy Note 7 Guides about? Samsung Galaxy Note 7 Guides page is the best place to find tips and tricks on using Galaxy Note 7, to try detailed step-by-step Galaxy Note 7 How-to guides, to read or download official Samsung Galaxy Note 7 user guide (in PDF and in your own languages), to check the latest Galaxy Note 7 Accessories Guides. New contents are added regularly after we test individual Samsung Galaxy Note 7 Guides. So, please bookmark this page. You can also post your questions on Galaxy Note 7 in the comments section, or post your questions in our Facebook page. We will try to answer your question or to re-prioritize and release any relevant Galaxy Note 7 guides ahead of schedule. Many other Galaxy Note 7 owners in this community may also help you. This page is a collection of the official Samsung Galaxy Note 7 user guides. It is free to read online or download. The official Samsung Galaxy Note 7 user guides are all in PDF format. You can choose the guide in your own language. Compared to the previous generation of Galaxy Note (Galaxy Note 5; there is no Galaxy Note 6, FYI), Samsung Galaxy Note 7 has many new features. Galaxy Note 7 Guides in this section are dedicated to using new features in Galaxy Note 7. How to use Galaxy Note 7 iris scanner? How to use Samsung Notes app in Galaxy Note 7? How to pin screen-off memos in always-on display in Galaxy Note 7? How to use smart select GIFs in Galaxy Note 7? How to use S Pen Translate in Galaxy Note 7? How to use S Pen Magnify in Galaxy Note 7? How to use S Pen Glance in Galaxy Note 7? How to use always-on display in Galaxy Note 7? How to use Galaxy Note 7 edge screen? Samsung Galaxy Note 7 How-to guides are detailed step-by-step Galaxy Note 7 guides for all levels of Galaxy Note 7 owners. All How-to guides are vigorously tested before they are released. These are the best Galaxy Note 7 guides you can rely on. We update the list regularly to add more Galaxy Note 7 guides. If you cannot find the guide you want, you can let us know in the comment box below. How to transfer data and apps from old phone to Galaxy Note 7? How to back up Galaxy Note 7? How to reset Galaxy Note 7? How to reboot Galaxy Note 7 safe mode? How to use Galaxy Note 7 recovery mode? How to unlock Galaxy Note 7 remotely? How to use app folders in Galaxy Note 7 home screen? How to add, use and manage apps in Galaxy Notye 7 home screen? How to set screen grid to customize app icon size in Galaxy Note 7 home screen and apps screen? How to use Galaxy Note 7 themes to customize home screen? How to disable flipboard briefing in Galaxy Note 7? How to hide Galaxy Note 7 apps screen? How to enable Galaxy Note 7 developer options and how to hide them? How to use Galaxy Note 7 notification panel? How to use Galaxy Note 7 quick setting buttons? How to manage Galaxy Note 7 notifications? How to silence Galaxy Note 7? How to use screen grid to customize app icon size in Galaxy Note 7 home screen? How to customize Galaxy Note 7 ringtones? How to use Galaxy Note 7 Do not Disturb? How to block certain callers in Galaxy Note 7? How to use priority mode in Galaxy Note 7? How to use Galaxy Note 7 Settings? How to install, manage and uninstall (or disable) apps in Galaxy Note 7? How to use Gallery app in Galaxy Note 7? How to use S Planner in Galaxy Note 7? How to use Now on Tap in Galaxy Note 7? How to make video calls with Galaxy Note 7? For generic Android Marshmallow related features, you may check this page as well. For many Galaxy Note 7 owners, Galaxy Note 7 is their main camera for most events. Samsung Galaxy Note 7 camera guides are the best Galaxy Note 7 guides that show you how to use Galaxy Note 7 camera properly. How to quick launch Galaxy Note 7 camera? How to use Galaxy Note 7 camera app? How to change Galaxy Note 7 camera settings? How to add camera mode shortcut to Galaxy Note 7 home screen? How to use Pro mode for Galaxy Note 7 camera? How to download, install and manager additional Galaxy Note 7 camera modes? How to save selfie photos as normal (not mirrored) one in Galaxy Note 7? How to set proper picture size and video size for Galaxy Note 7 camera? How to use voice control for Galaxy Note 7 camera? How to use gesture control for Galaxy Note 7 camera? How to use volume key to take photos, recording videos or zoom in Galaxy Note 7 camera app? How to silence camera shutter sound in Galaxy Note 7 ? How to enable (and disable) picture review after taking photos in Galaxy Note 7? How to use Galaxy Note 7 camera burst mode? How to use Galaxy Note 7 camera effects? Where is night mode in Galaxy Note 7 camera? How to use tracking AF in Galaxy Note 7 camera? How to use selective focus in Galaxy Note 7 camera? Samsung Galaxy Note 7 Accessories Guides introduce you the best (in both quality and value for money) accessories for your Galaxy Note 7. As mentioned, we will release these Galaxy Note 7 Guides gradually after passing our test. using the comment box below (preferred). The community will help you. The answer will benefit other Galaxy Note 7 owners as well. posting on our Facebook page. discussing in our G+ page. If you have any suggestions or want to contribute to the community, please do not hesitate to contact us. For Galaxy Note 5 owners, you may find our Galaxy Note 5 how-to guides in this page. For Galaxy Note 4 owners, please check Galaxy Note 4 how-to guide in this page. Enjoy your Galaxy Note 7. It depends on what are your old and new phone. 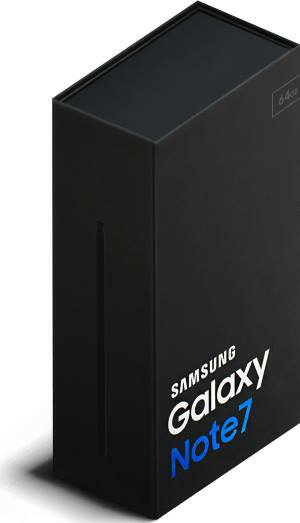 if the new phone is Samsung one, you can try Smartswitch as detailed in this guide. How do I use the voice recorder already on Samsung Note 7. I have a song recorded that I need to send to one of my contacts cell phone but when i hit share and try to send it as attachment by text it says translating to text and nothing gets sent. You can only send such recordings as MMS, not normal SMS. You can try to compose the message, then attach the recording. Then send. On the Note 7 how do I disable or turn off the backlight for the soft keys? I assume you mean the back and recent keys. Samsung removed the lighting settings for these two keys. You can use this app to disable the light or set the light duration. What happen to my phone, the top samsung galaxy note 7 of mine keeps flickering the blue light on top znd i cznnot seem to make it work. The phone is not working. Help. You can reboot (long press power button) the your Galaxy Note 7 to see whether it helps. If it is faulty, you should check with local Samsung service center.